This afternoon, I bumped in to an old, very close friend at a store. In fact, he was one of my roommates in the old farmhouse during the countdown to Y2K and was heavily involved in prepping with me for it. Today, he said that he was on board for Y2K, but that he couldn't do it "this time." He reads this blog, and he listens to Glenn Beck, along with other commentators, and he hears the talk of the economy and sees the natural disasters, but he also keeps a roof over the family's heads, keeps food on the table, educates his kids, and other every day things. In his mind, he can't worry about what might happen because he has to concentrate on what happens every day. That conversation today got me to thinking... When many people think of prepping, they think it is only for the acute disaster or a long-term descent into chaos or collapse. But that's not what it is about. A premise of modern survivalism that I attribute to Jack Spirko is that everything we do to prep, must be a positive in our lives, even if nothing bad ever happens. A saying I like to use is, "Eat tomorrow on today's dollar." I often adapt that to reflect whatever the topic is... "bathe tomorrow," "dress tomorrow," or even "shoot tomorrow." In other words, buy things now when they are available and on sale, and then you won't have to spend more money on them later. Nothing is going down in price. I don't have 200 rolls of toilet paper just on the off chance that we become a third world nation and it becomes unavailable, I have it because I got it on sale, and I never have to worry about running out like folks who buy a 4 pack at a time do. Same thing with tooth paste, soap, deodorant, and other hygiene items. If I had growing children, one of my strategies would be to buy clothes and shoes for them in the next few larger sizes for coming seasons when they go on closeout at the end of the previous seasons. I buy ammo in quantity and on sale. I know it won't go bad, and I'll use it at some point. Again, nothing is going down in price (a possible exception might be electronics) so I can beat inflation if nothing goes wrong, but I'm also prepared if things do. My garden helps me eat healthier now, and can help feed us during a breakdown. Changing my own oil and doing routine maintenance saves money now, and improves my basic mechanical knowledge if I breakdown on the side of the road. Brainstorming tactics for a hostile situation exercises my brain and provides a mental escape now, and can give me a distinct advantage if I face a situation for real. Getting out of debt frees up money for long term savings, plus improves our current lives now, and gives us a distinct advantage if there is an economic collapse or we just lose some income. Everything we do to prepare, helps improve our lives today. Our Sponsor of the Week is Essential Packs. 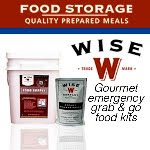 They have a huge variety of pre-built emergency kits for every environment from home to auto to school to office. They have some new kits, as well as some great sales going on now. I particularly like the clock radio with the built-in NOAA weather alert. Looks like a great way to keep a NOAA radio in the bedroom without having an extra plug getting used or more dresser top space. 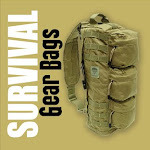 Check out Essential Packs, and please tell them that you heard about them here at If It Hits The Fan. Very well put! As we slide further down toward the SHTF I see preps as a positive thing. It keeps me from being demoralized as much and I feel more in control of my daily life. Very true, you shouldn't prep for an event. Events have a habit of not actually happening. You prepare for life. Here's a good example. I live in Minnesota and we can get some serious winter storms. If the storm is bad enough (or if there's just some bad luck) we can lose power. If you don't have power your furnace won't run, even if it's natural gas (or LP or fuel oil or whatever). If your furnace doesn't run your house will get cold. But if you've prepared a backup heat source you can keep your house a livable temperature and protect the house from cold related damage (frozen pipes etc). But part of that prepping is knowing that you need to plan to deal with carbon monoxide that your heater is producing so it doesn't kill you. A related example is having cold weather gear in your vehicle for the chance that you have a break down or a storm blows up out of nowhere (yes, this does still happen) like happened last year. One day last year I went to work with a prediction of flurries, by early afternoon it had been upgraded to a blizzard warning and roads were being closed. Prepping helps me today by knowing that if I need it it is there and I don't have all the worry that others do because I know that my family is safe and secure no matter what happens down the road. It has become such a part of my life that I do it as a way of life and have less stress because of it. All good points, guys! Thanks! Prepping gives me the freedom to be present today because I know I have some flexibility to deal with the unexpected. We had 2 major regional emergencies in my area this year: a major natural gas outage during the coldest 3 days on record, and 4 months later a massive wildfire that destroyed more than 50 homes and caused the evacuation of thousands of people. Both taught me to prep for the unexpected as well as the SHTF scenario. I had plans for bug- in and bug-out, but not for 'leave your house but still get to work every day looking like nothing's happening' -- a new one on me! WORST case is that when I retire within the next year or so, I will have provisions if I need to use them. Better to have a collection of pails and cans of food than cute little figurines.